Pizza Connection 3 — continued real-time management strategy with an isometric view of the camera. You can go through a difficult and dangerous path from a Roman baker who is unknown to the owner of one of the largest pizzeria chains in the world. 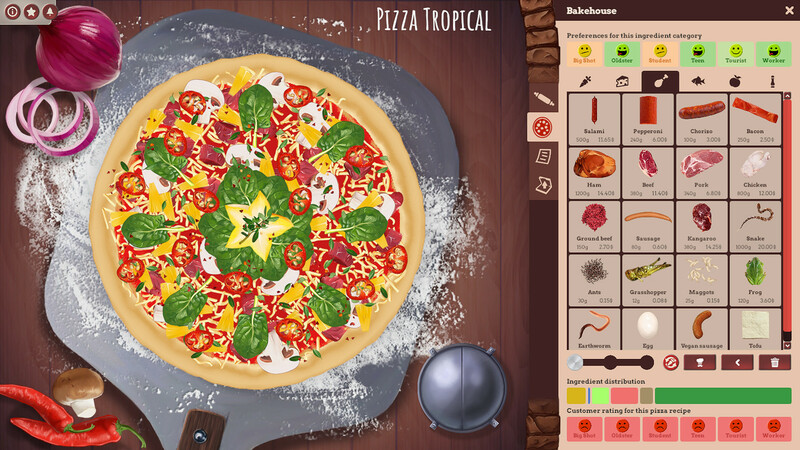 Create your unique pizza in a well-designed designer, and conquer the tastes of the most experienced gourmets. It’s time to rest a bit from dangerous and global adventures, and try to just relax a bit, playing a game where you have to manage your own pizzeria. Yes, you heard right and can now open a personal pizzeria and try to use all available opportunities in terms of attracting new clients, development and other interesting moments. Are you ready to do business and test your abilities in terms of organization and action? Then do not waste time and quickly play in Pizza Connection 3, already now begin to plan their actions. 5. Download & install Update v20190318, in game folder. This game has been updated 18-03-2019, 11:14 to the latest version upd.18.03.2019 (Fatman Update). - Citizens give feedback over their heads when they don’t enter a restaurant so that the player receives information what they specifically didn’t like. This also gives relevant feedback to advance through the campaign. - The overall difficulty of chapter 3 has been eased. The mission design has been changed to better fit the mission texts. - The architect view has been improved to provide easier placing of furniture to the player. All furniture displays an interface that shows the actual needed space. - Fixed a bug where the game remained stuck after fading screen to black when a pizza cart was involved in the game session. - Removed intro videos in hope of fixing the problem for some players that couldn’t proceed to the main menu of the game. Can you upload only the update? Sebastián, link to the patch in the first post. Added characteristic points to the free mode. The player is now able to distribute characteristic points in the free mode menu to balance the game for his needs. However, before one of the five characteristics can be increased the player has to free points by decreasing another characteristic. Hovering over the name of a characteristic will provide a tooltip with info about the effect. Characteristics are disabled for the campaign. Added a set of new furniture items to celebrate Halloween. Added a new statue to decorations that gives a little hint for upcoming updates. 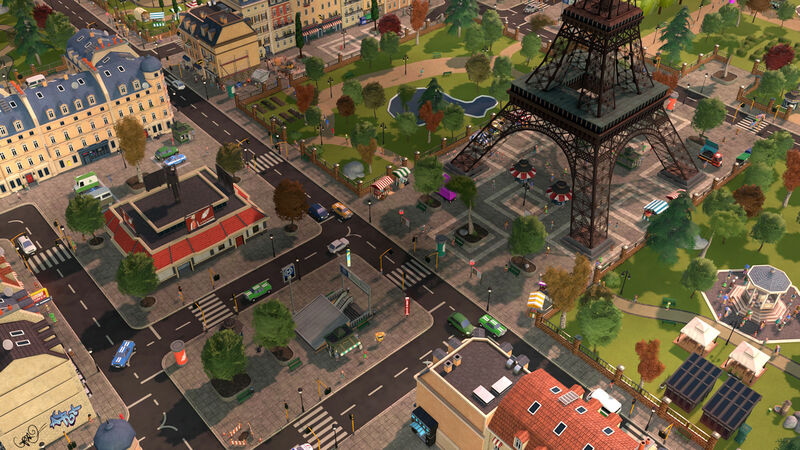 Small performance update for all dynamic objects (citizens, cars). LINUX: Added a checkbox to the game options that can be toggled in case of input issues. If input fields seem to work oddly try to turn this option on/off. Several minor fixes and performance upgrades. A bug was fixed that prevented save games from loading. A bug was fixed that prevented researching after a save game was loaded. Changed the pizza baking queue so having delivery and a normal restaurant should work more efficiently without long waiting times. Fixed stalled AI behavior in some cases. 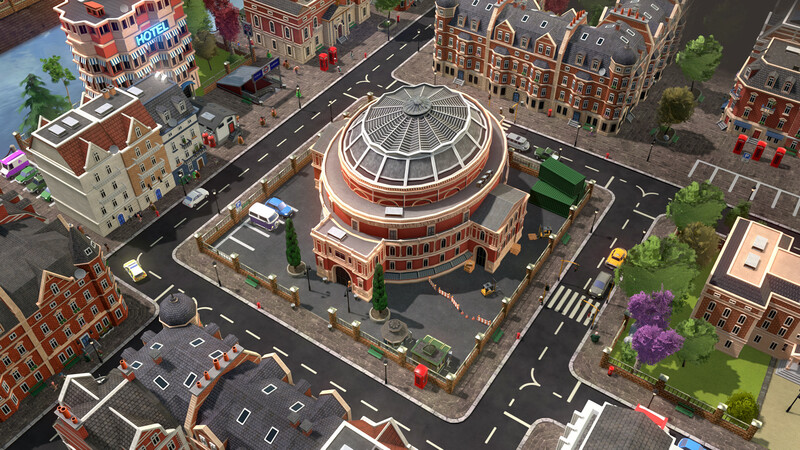 Removed overlapping parking lots from the opera in Washington. Fixed faulty ground tiles in Madrid and Berlin.